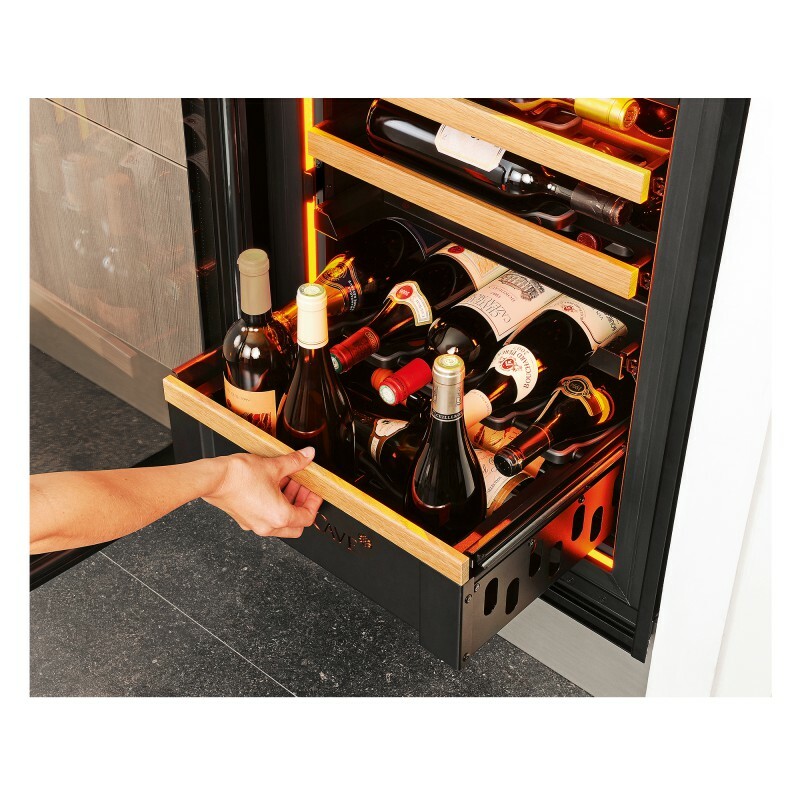 Wine cabinet, 1 temperature, technical solid door, built-in and integrable. 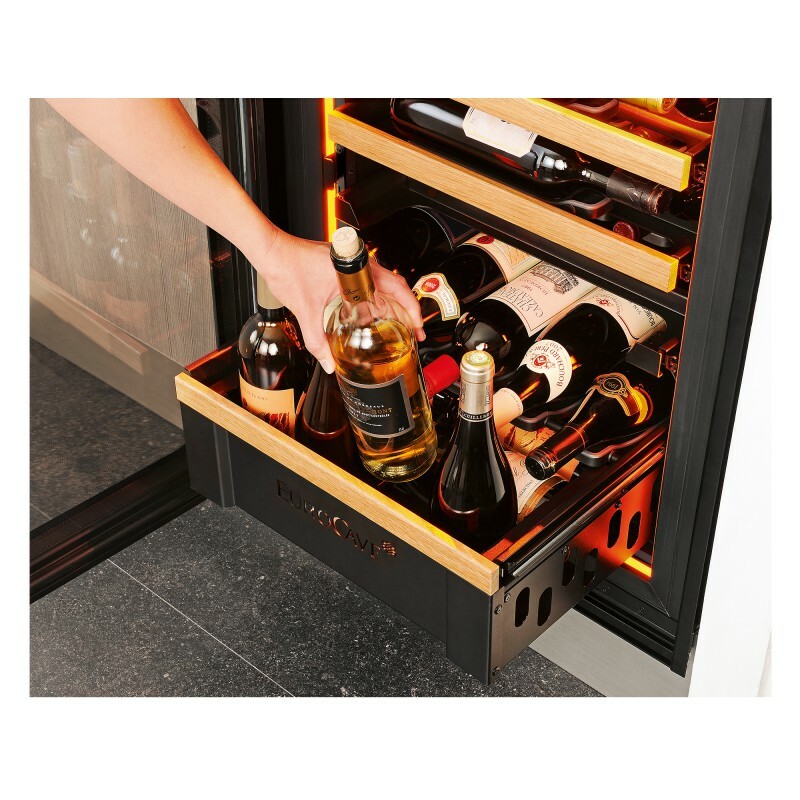 - The Premium pack comprises 14 sliding shelves allowing you to store 89 bottles. 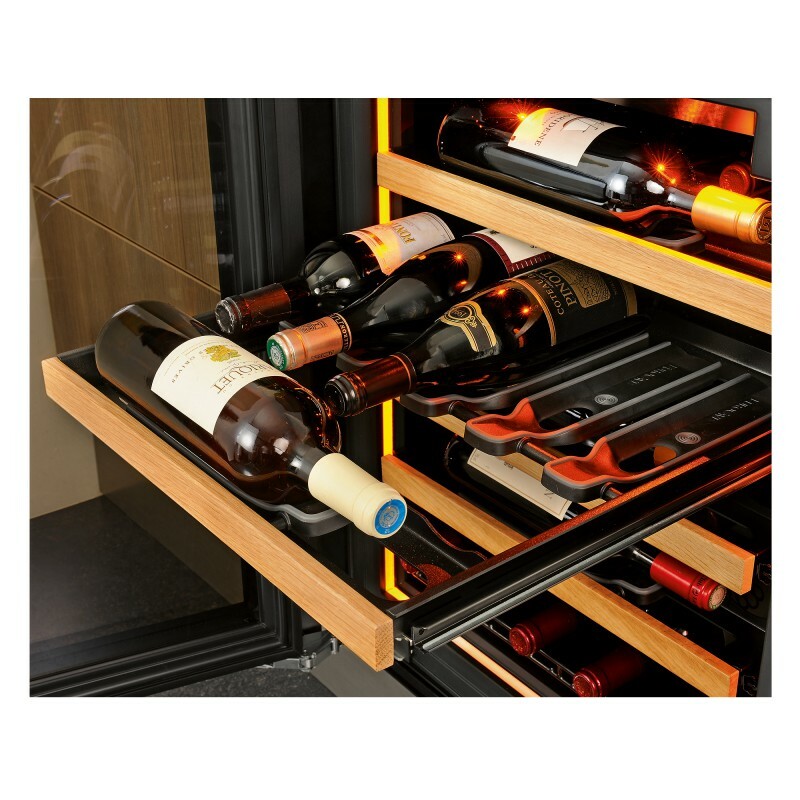 - The Storage pack comprises 3 storage shelves and 3 sliding shelves allowing you to store 89 bottles. 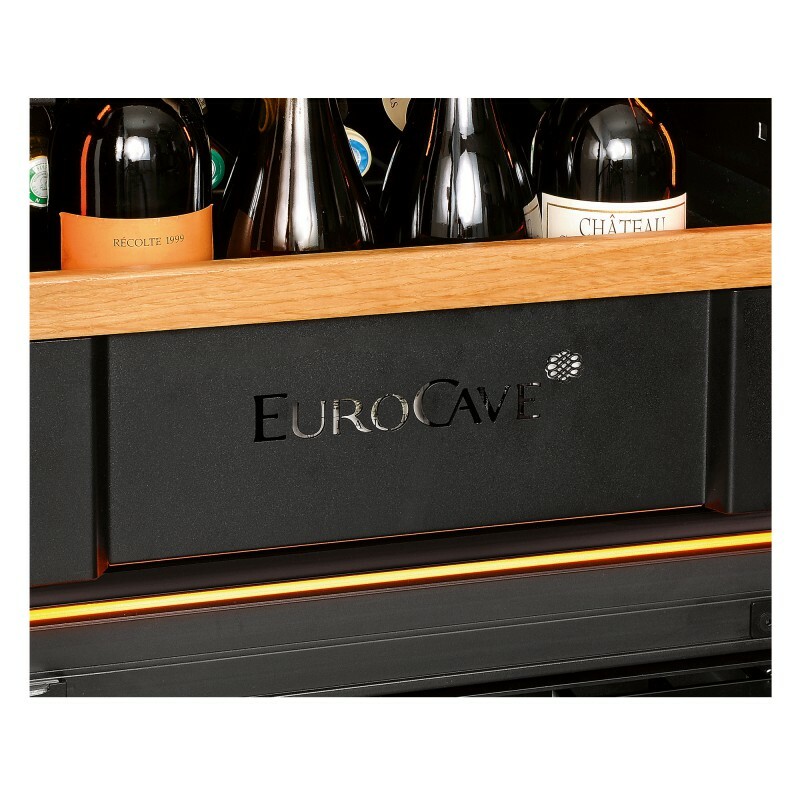 - The Service pack comprises 12 sliding shelves, 1 half-shelf and 1 service sliding shelf allowing you to store 88 bottles.